Express Condos is the first phase of a large development project that will be situated on 2.8 acres of land, along Tippet Road in the Wilson Heights neighbourhood of North York. It is the latest proposed pre-construction high-rise residential condominium, that will ascend 16 storeys atop a 6 storey U-shaped podium. The other building will be the second phase on the northern parcel and will comprise of two mixed-use towers climbing 16 and 13 storeys respectively above a common 6 storey connected podium. Once completed, there will be approximately 651 combined units in total, between the two projects. These buildings will be divided into two sections, with a private road as well as a public park, dissecting the southern first phase and northern second phase. 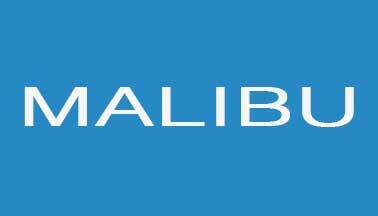 This venture is spearheaded by Malibu Investments alongside, RAW Designs as the architects. The completion date is yet to be determined. This proposal is part of the Tippet Road Regeneration Study, that advocates intensification, making efficient use of underutilized parcels of land in order to built-up urban regions, particularly in places, which are well served by municipal infrastructure and public transportation. The project envisions a metamorphosis to an already spirited blended-use community encompassing a variety of housing options, places to work and shop, and an extensive range of amenities and conveniences that includes new parks roads and to provide a public realm context for its future residents. The non-residential integral section of the proposed development has been assessed to result in the restoration of existing employment levels on the site. For more information, please register here today for Express Condos By Malibu Investments Inc.
Malibu Investments will be offering at this high-rise residential development a range of various layouts that will consist of 21 bachelor pads, 135 one-bedroom suites, 279 one plus den, 100 two-bedroom units, 77 two plus den and 39 three-bedroom dwellings, between the two projects. The southern building will house 257 units and the other will host 394 correspondingly. Dimensions and prices are still being worked out. Each suite is expected to have an open concept design, with an inclusive balcony and expansive windows. Many other exciting features and finishes will also be injected into each unit. The amenities will without a doubt, be also carefully composed That’ll consist of a contemporary lobby accompanied by a 24hr-concierge, a courtyard and much more. Furthermore, the buildings are set to provide approximately 560 vehicle parking spaces in an underground garage, in which 483 spots will be for residents’ use and 77 shared spaces for visitors and non-residential uses. In addition to, 490 bicycle parking slots which are also proposed, including 442 long-term spaces and 48 short-term zones. 4 additional car-share parking spots would be located at surface level. Register with us today to keep posted on any new developments regarding this particular project. The neighbourhood that Express tower is in has a current Walk Score of 53/100 and a Transit Score 94/ 100. Ideally and conveniently positioned, you’ll enjoy having all, at your disposal along with other luxuries in the area that will leave you in awe. 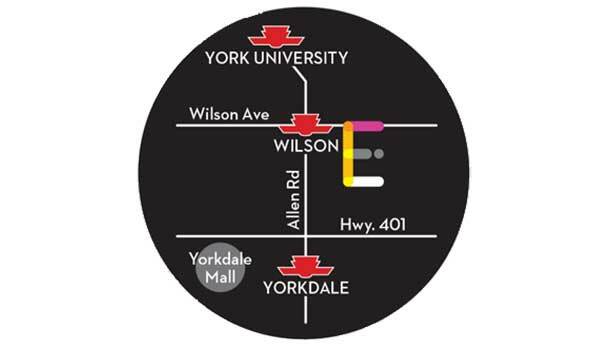 Yorkdale Mall is just mere minutes away, which offers an array of shops and eateries alike. You’re also steps away from the Wilson and Yorkdale subway stations. Other big-box stores, restaurants, cafes, professional services, schools, parks, entertainment facilities are also within close proximity. Nearby parks include Baycrest Park, Conlands Parkette and Woburn Park. All your wants and needs are well catered to in this coveted neighbourhood. 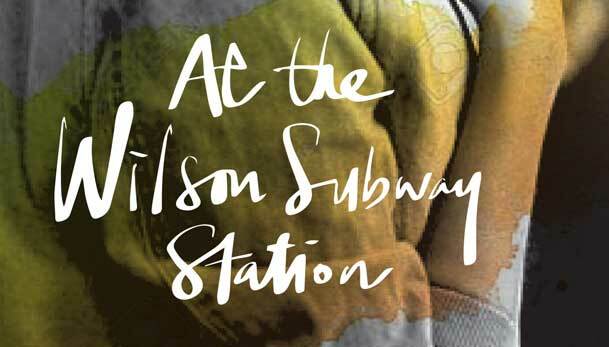 Commuters can maneuver the city and beyond, by jumping onto public transit that serves this community frequently with buses, hopping on the subway at Wilson Station will get you everywhere you want to be, including downtown. Motorists are nearby- highways 401, 400 and Allen Road, which connects you to other major arterial roadways, getting you where you need to be with relative ease. The location is situated in an emerging prime neighbourhood, with a excellent balance between the older and younger generations, anyone of any age can feel welcome in this area, as it exemplifies a family-oriented vibe, forging a great place to raise a family in. It certainly has a welcoming ambience and is reminiscent of a friendly dynamic community. Investors and first-time homebuyers alike will see that this is one opportunity that should not be overlooked. Make the auspicious move now. By investing or buying in this quintessential community will be one you soon won’t regret. Join many others who will soon call the Express Condos their new home address. 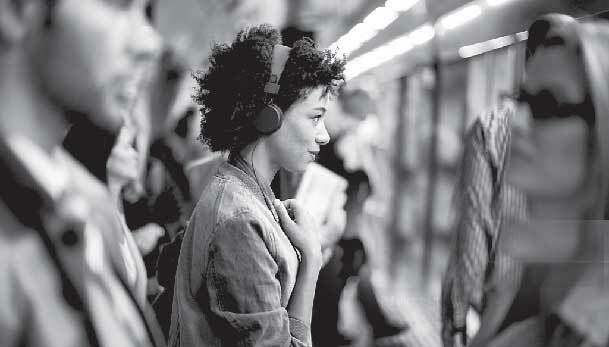 With this new station offering easy connections to GO Transit, YRT, Viva Transit, Brampton Transit and more. Have a car? this is the perfect hub to get around by highway, minutes away you'll find Highway 401, Allen Rd, Highway 400, 427, 404 and 407. Malibu Investments Inc. is a new developer on the scene, but they have already proven that they are capable of building amazing projects and increasing urban density. 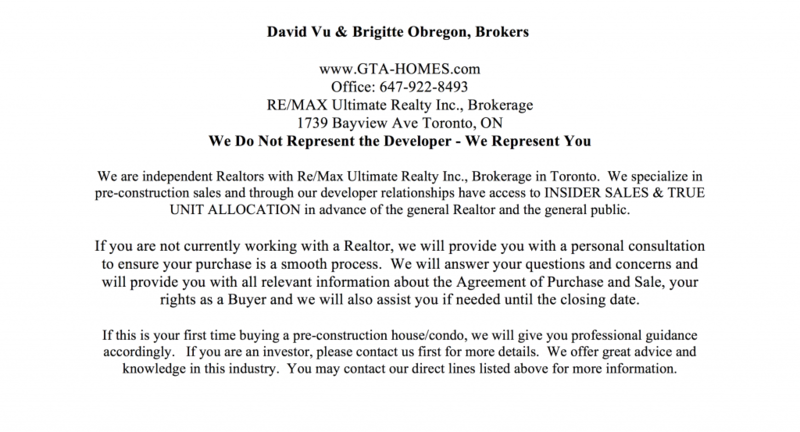 They are a real estate developer that builds throughout the GTA. They have succeeded by always looking towards the future. They do this by building their developments with the most modern and state-of-the-art materials and building practices that are available within the industry. 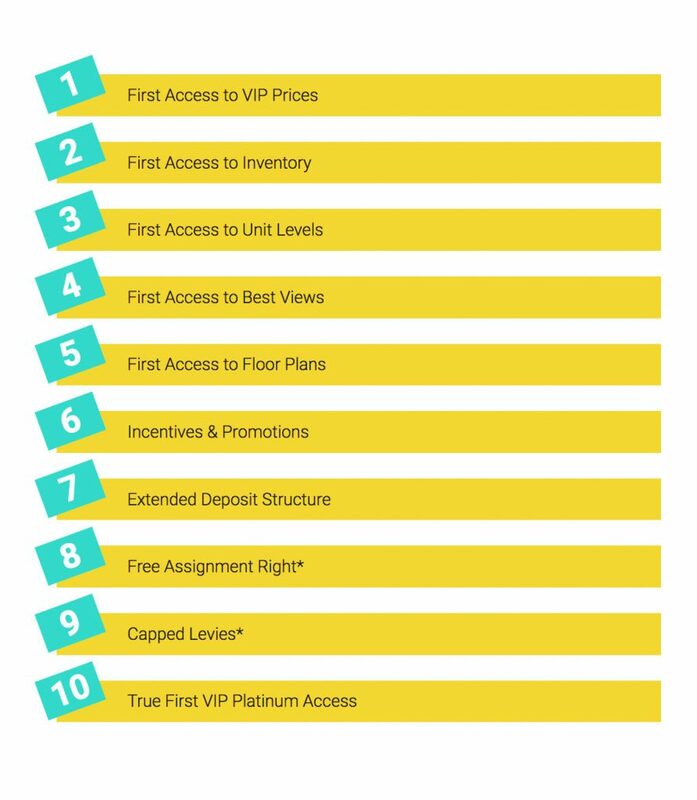 Express Condominiums will be selling in September/October 2017, so pre-register now to be in the know.